Devon Conway has been in a great touch and has scores of 44, 47, and 45 in last 3 innings. Bracewell was the top team batsman in last 2 innings with the scores of 74 and 60 opening the innings for Wellington Firebirds. Stephen Murdoch was the top batsman for Canterbury in their 1st match against Otago scoring 54 off 33 balls. McConchie was the top team batsman in their last match against Auckland scoring 47, batting at number 4. Ollie Newton has 4 wickets to his tally in last 3 matches and his best figures came in the last match where he picked 2 for 22 in his 4 overs. Hamish Bennett was the top bowler for Wellington in the last match with 3 for 22 in 4 overs. 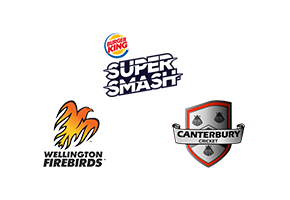 Wellington Firebirds are placed at number 3 in the points table with 2 losses and 1 win in 4 matches in the Super Smash 2018-19 season so far. Their 1st win of the season came after 2 consecutive losses in the last match, where they defeated Central Stags by 8 wickets. The openers Michael Bracewell and Devon Conway have been in good form through out and have delivered great performances at the top. Unfortunately it was just the two of them who performed well in their match against Otago where the Firebirds lost by 1 run. The failure of the middle order to fire cost them the match not once but twice. In their 1st loss against Northern Knights chasing 216, a lack of major contributions from the middle order turned out to be costly. The improved bowling attack with Bennett, Newton and Logan van Week all picking up wickets at the right time have changed their fortunes for good. Canterbury have won 1 of their 2 matches in the Super Smash 2018-19 season so far. 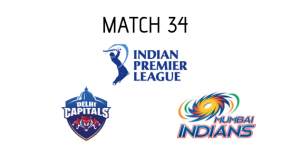 Both the matches showed contrasting bowling efforts from the Kings. While they could not defend 184 in their 1st match against Otago, they wrapped up the Auckland innings for 110 in the next match. Kylie Jamieson was the star with the ball picking up 6 wickets for 7 runs in 4 overs. He was the top bowler for Canterbury Kings in both these matches. Though Canterbury won their last match chasing 111 against Auckland, they were 3 wickets down for 19 runs in the 5th over. Canterbury Kings will have to bat better than Wellington if they are to win this match. Since Wellington bowlers have found their rhythm, it will be down to the batsmen from both the teams to put their best foot forward. Wellington Firebirds will have the home advantage in this match. They seem to have found the right combination of bowlers and batsmen from their recent match results. It will be interesting to see how the Wellington batsmen take on Kylie Jamieson, the star bowler for Canterbury Kings. Super Smash 2018-19 season is taking shape and this match will be crucial to estimate how the top teams will go ahead in this tournament.